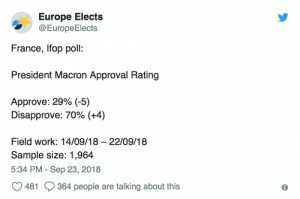 ER Editor: On this subject we also recommend an overview piece by FreeWest Media, titled Macron polls lower than France’s most unpopular former president. FreeWest doesn’t link to the data but according to this report, Macron’s popularity has fallen below that of Francois Hollande at the same point in their respective presidencies. Zerohedge cites data which puts Macron still somewhat above the historically unpopular Hollande. 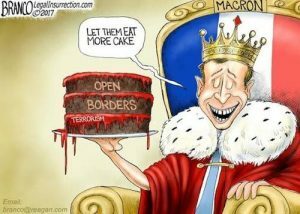 Regardless, the perception of the Rothschild puppet Macron over here ‘ain’t good’ for a variety of solid reasons. 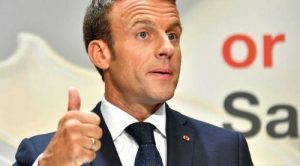 In the latest sign that the French government is headed for a devastating political and economic crisis thanks largely to the government’s embrace of open borders, French President Emmanuel Macron has seen his approval rating plummet to just 29%, the lowest level since his presidency began in the summer of 2017, according to a recent Ifop poll, as voters have rebelled against Macron’s attempts to push through badly-needed pro-business reforms and his unwillingness to stem the tide of migrants pouring into the country from North Africa and the Middle East. That’s a remarkable turnaround for Macron, who was elected in May 2017 amid a wave of popular enthusiasm for his his “En Marche” movement that promised to revive France’s moribund economy with “pragmatic” economic reforms that straddled the left and the right. Macron swept into the Elysees Palace at the age of 39, making him the youngest French leader since Napoleon. Still, after less than 18 months at the helm, voters have already turned on Macron, continuing a trend that also afflicted Macron’s two most recent predecessors, Socialist leader Francois Hollande and Republican leader Nicolas Sarkozy. By comparison, Hollande had an inferior rating of 23 percent at the same time of his term and Sarkozy had a rating of 34 percent. According to Yahoo News, voters are dissatisfied with Macron’s policies, which have failed to bolster the French economy or provoke a significant decline in unemployment. 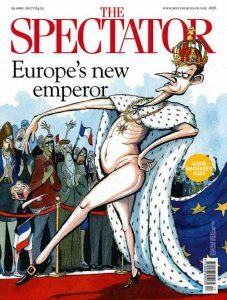 However, several high-profile gaffes have made Macron appear blundering and incompetent in front of the French public. Earlier this year, Macron belatedly dismissed a bodyguard who beat up a student protester at a rally earlier this year. And just this month, Macron was criticized for sounding out-of-touch when he recommended to an out-of-worker gardener that the man try harder to get a job, and maybe look into finding work in the restaurant industry or construction. The poll comes at an inopportune time for Macron’s government as it prepares to unveil its draft budget for 2019 on Monday, which is expected to include deeply unpopular cuts to retirement benefits and public spending that are necessary to curb France’s budget deficit. Earlier this month, Macron announced his plan to revive France’s health service, which has deteriorated in recent years. Meanwhile, his government continues its prosecution of one-time Macron rival Marine Le Pen, whom he defeated in a runoff vote to clinch the presidency. 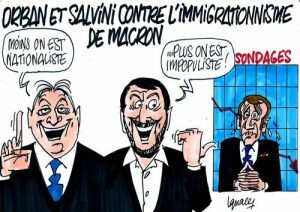 Le Pen’s hardline approach to the European migrant crisis has apparently picked up more support following the vote, as a recent poll showed that more than half of French people are against Macron’s decision to provide a safe haven to migrants rescued at sea.